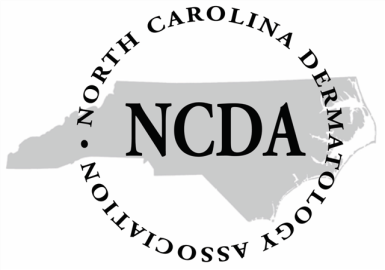 DermPAC, the non-partisan political committee of the North Carolina Dermatology Association (NCDA), relies on voluntary contributions from members like you to back candidates for public office who support the NCDA position on issues affecting dermatology practice and patient care in North Carolina. Patient safety, access to care and fair payment for physicians are worth the investment. Can we count on your support? Simplify your future giving: set up a recurring monthly gift to DermPAC. Voluntary contributions to DermPAC are not limited to the suggested amount and should be submitted on a personal check or made by personal credit card. Contributions from corporations are prohibited. Contributions to DermPAC are subject to the limitations of North Carolina Law. Contributions to DermPAC are not deductible as charitable contributions for federal or state income tax purposes. NC Law requires political committees to report the name, mailing address, profession and field of employment for each individual whose contributions aggregate is in excess of $50 in an election cycle.